1. 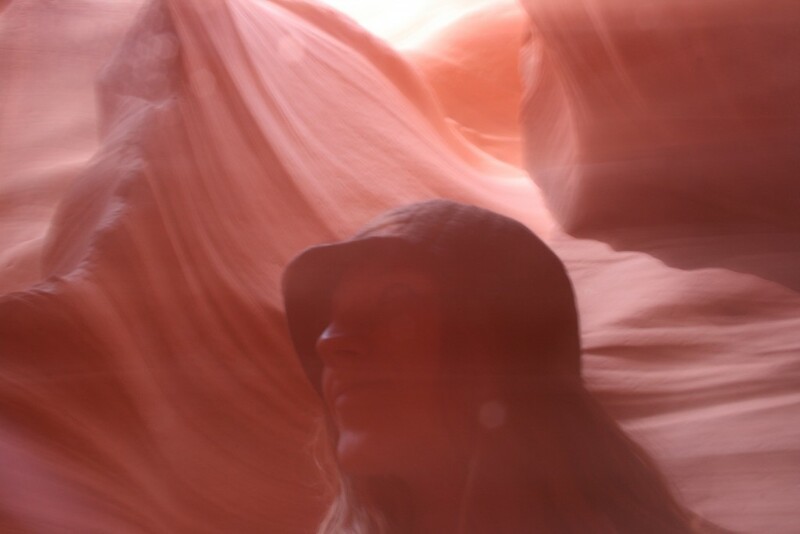 This visit was to the Lower Antelope Canyon which I thought was GORGEOUS! It is the ninth wonder of the world and has been photographed time and time again. They have multiple weddings there, and often even magazine photo shoots. Our tour guide, Mouse (yes as in Mickey) said he was the fortunate soul to lead a Maxim magazine tour group. I’m sure the scenery was plentiful that day. 2. The Upper Antelope Canyon REQUIRES a reservation and although it is supposedly better for amazing pictures, it is also completely overcrowded the majority of the time. From what I hear they rush you through, there are too many people to get good photographs, and it’s just a frenzy! 3. 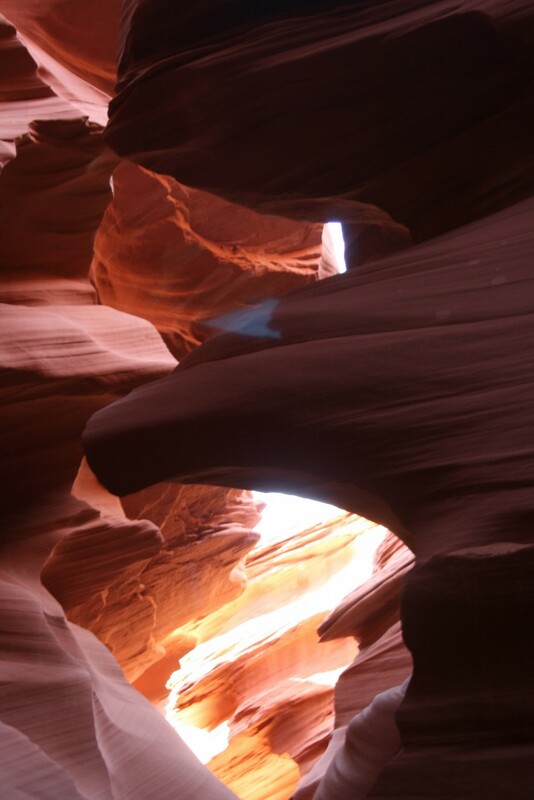 As of today, there is ONE tour on the Lower Antelope Canyon which does not require a reservation: http://www.lakepowelllife.com/lower-antelope-canyon-tours/. You DO, HOWEVER, need a tour guide. So don’t be driving over there thinking you can barrel through the canyons on your own you little trailblazer. 4. Lower Antelope Canyon DOES have a fairly steep decline of stairs. If you can’t handle that, you probably should go to the Upper Canyon. 5. This tour did have free water, but there is not much else out there in Page, so plan ahead and eat plenty before you leave. Also, I didn’t happen to see any restrooms at the parking area but maybe I missed the port-a-potty as we jetted out as soon as we rolled in! Now that we have those out of the way, let’s get to story time! Like I said, there are two different canyons. The upper antelope canyon is the first one you will see when you come into town. 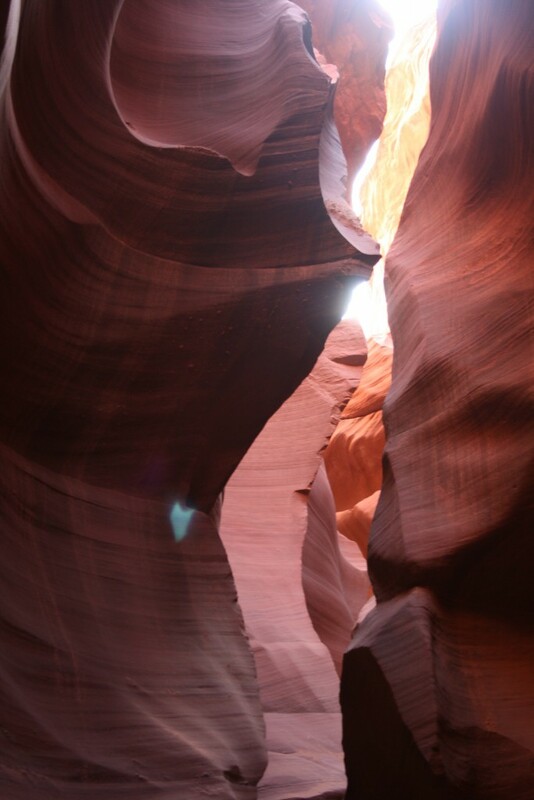 If you head further down the road the lower antelope canyon, which is fairly easy to spot, awaits. We caught the 1:00 tour time, which was AMAZING because there were literally only 6 other people in our group. This is very rare! The cost was $28 per person. Our guide Mouse, (yes, like Mickey) had grown up in the area and played in these slot canyons as a child, so he knew every nook and cranny and was very knowledgeable about the canyons. He showed us incredible photography tricks and informed us what speed we should put our cameras on. It was almost a photography lesson and a tour! We were so lucky to have him. After a short walk (probably 3/4 of a mile) to the canyon, we had to walk down some stairs that were fairly inclined. And then, the beauty sunk in. It completely astonishes me that this was made from years of flowing water and winds! Every turn equated to an angle that was even more breathtaking than the last. To be honest, it was hard to take a bad picture! The tour lasted about 2 hours and was one of the most spectacular things I’ve ever seen. I was enamored and wish it was possible to go in the canyon alone, without anyone else around, to feel the spiritual energy inside. I highly recommend going if you are ever in the Arizona area! It was well worth the money from my standpoint. 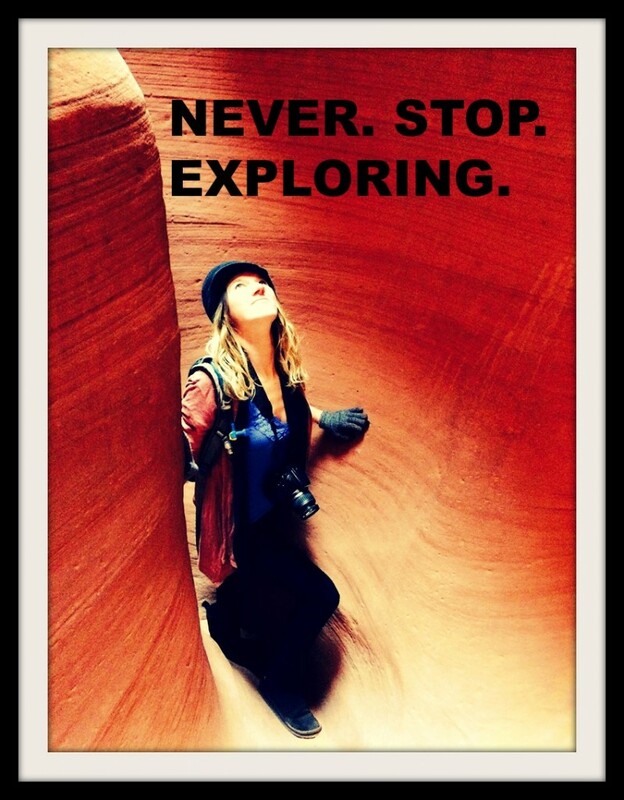 Have you been to Antelope Canyon?! If not, what do you think is the most spiritual place you’ve ever visited?! BONUS TRAVEL TIP: While you`re on a long holiday vacation there are times when you simply have to work, Get instant access to your online private work space with virtual desktops from CloudDesktopOnline.com. Visit www.Apps4Rent.com to know about such productive cloud apps. 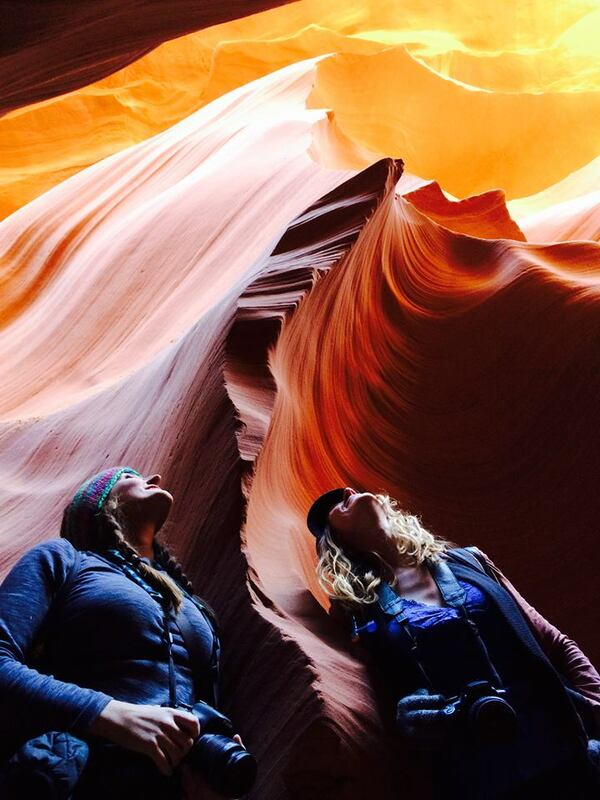 The photos you have shared of Antelope Canyon are totally stunning. It is a little like waves in the rocks. I can imagine how very spiritual it is. I’ve actually ALWAYS wanted to go here! When we eventually move back state-side w/ an RV, it is def. on my list of “Must-sees!” Thanks for even more inspiration to get there! Economical Excursionists recently posted…Ludwigsburg Pumpkin Festival: The largest in the world! I love the picture of you and your friend! It sounds like you had a good time. It’s great when there are only few people in a group, you don’t feel so rushed and can actually talk to the tour guide. Never knew if such place could exist on earth. Awesome clicks as well. Will certainly visit some day. I don’t think there is another place like Antelope Canyon in this world. How wonderful to get photography tips along with the lore from your extremely knowledgeable guide. Your photos turned out great! Your photos really capture the colours and natural beauty of the rock. Looks like a great place to visit. I’ve seen so many photos of antelope canyon and it looks like an incredible place to visit. The formation of the rocks and the colours are amazing. What an incredible place! Sounds like Mouse was a great guide, especially giving you photography tips. How amazing that he used to play there as a kid!! I am So happy for you that you got to go here! And a little jealous too haha. Isn’t nature just truly astounding and surreal?! LOVE this I also really want to get into caving! oh my gosh so gorgeous! I would absolutely love to go there to shoot some photos some day! What could be better than an experience of thrill and journey in various national parks of India? We only visited Sedona. Cannot wait to see Antelope Canyon. It looks amazing! Great pics. Thank you very much for this. This is helping me a lot in planning my travel. Just came back from there march is perfect, spring break but I’m sure nothing like the summer. I did upper and had adequate time to shoot what I needed and our guide Jazz was awesome, she knew the perfect setting for my Canon 5dmkIII. How far in advance do I need to buy tickets for both canyons for late October. What is your refund policy? I read your blog and thought it was rather helpful. Thank you for sharing. Looking to book the same tour in February. May I ask who you went through to book your tour? All of the booking sites I’m looking at are asking for about 40-60 bucks. We went here before when traveling with the family on our rv. Really fun place to camp and spend a few days to bond.